It's the week before Christmas, and Eric is already bored with his vacation. His parents have to work, his friends are out of town, and the city is snowed under. Then he opens his apartment door for an exterminator, and is dragged into the adventure of his life. Anje Gabrail carries a crossbow and lives for his work. When he discovers a rat in the basement of Eric's apartment building, he asks the boy to help him kill it. At first Eric agrees, after all, he doesn't have anything better to do. But as the week progresses, Eric finds himself in a fight to save not only the rat but himself as well. 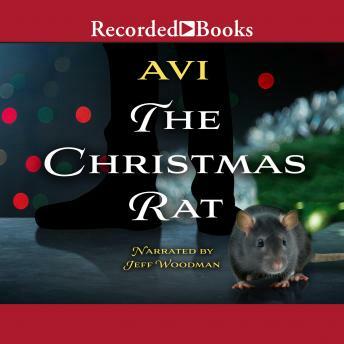 Avi delivers an unusual story full of the magic of Christmas. Narrator Jeff Woodman's stirring rendition perfectly captures both Eric's confusion and his growing sense of purpose as he confronts an angel in a most unlikely form.